Enrique Iglesias was born in Spain, the third and youngest child of singer Julio Iglesias and socialite and magazine journalist Isabel Preysler. His mother name is a Filipina and his father is of Galician Spanish ancestry. His parents divorced in 1988, and the following year Julio moved to Miami, Florida, in the U.S to continue with his musical career. Iglesias did not want his father to know about his plans for a musical career and did not want his famous surname to help advance his career. He borrowed money from his family nanny and he recorded a demo cassette tape which consisted of a Spanish song and two English songs. He started his musical career on Mexican label “Fonovisa”. This helped turn him into one of the most popular artists in Latin America and in the Hispanic or Latino market in the US and the biggest seller of Spanish language albums of the 1990's. Before the turn of the millennium, he made a crossover into the mainstream English language market, signing a unique multi album deal with Universal Music Group for an unprecedented US$48,000,000, with Universal Music Latino to release his Spanish albums and Interscope to release English albums. In 2010, he parted with Interscope and signed with another Universal Music Group label, Universal Republic. Iglesias has had five Billboard 100 top five singles, including two #1s, and holds the record for producing 22 number 1 Spanish language singles on the Billboard's Hot Latin Tracks. He has sold over 60 million albums worldwide, both in English and Spanish, making him one of the best selling Spanish artists of all time. He has also had eight #1 songs on Billboard's Dance charts, more than any other single male artist. Altogether, Iglesias has amassed 52 #1 hits on the various Billboard charts. He also has sold more than 40 million singles worldwide which makes him having sold about 100 million records totally. He has sold over 12 million albums in the US. Iglesias started dating Russian tennis star Anna Kournikova in late 2001. Kournikova confirmed that she and Iglesias have been together for over 8 years but have no plans to marry in the near future. 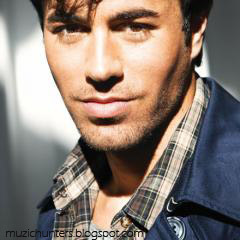 Enrique Iglesias is one of the most celebrated Latin Artist Of all time. He has won 15 Billboard and 23 awards Billboard Latin Music Awards .He has won 5 American Music Awards, 1 Grammy and 1 Latin Grammy and 6 World Music Awards. He has also won an award for Best International Act in MTV India Awards .He was also name "King of Latin Pop". Thanks for sharing your thoughts about onkyo ht-s3300 buy india. LIKE KALYAN MATKA OPEN AND MAIN MUMBAI MATKA, MATKA TIPS AND MATKA RESULT"
"WE GIVE MATKA NUMBERS AND MATKA DETAILS WITH UTMOST CARE AND RESPONSIBILITY"